At different times we all need a little bit extra for our skin. Often seasons like winter and Autumn can create dryness with harsher weather conditions and exposure to indoor heating. 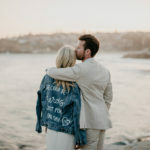 Being under extra pressure or stress at work or juggling wedding planning with day to day life can also often leave us feeling a touch depleted which can result in skin being a bit less than its usual glowy self. 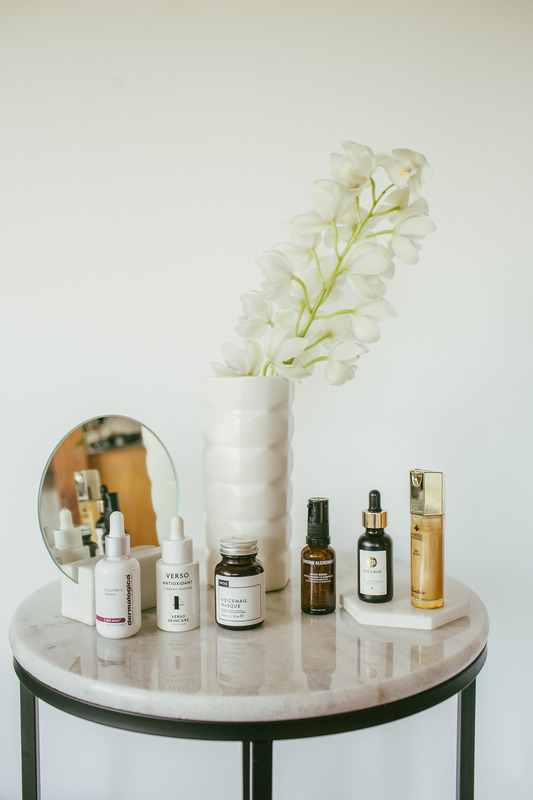 With this in mind, we have been testing a range of serums a facial oil and a masque all designed to restore and replenish. 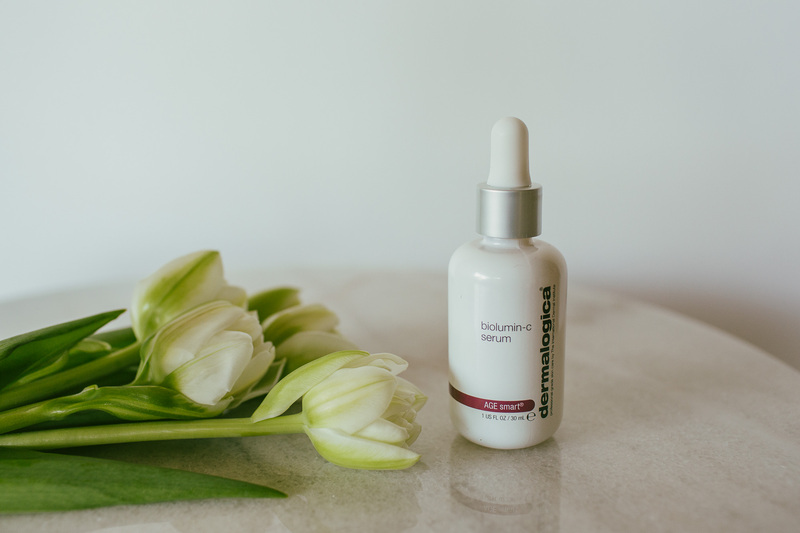 We spoke about the Dermalogica biolumin-c serum a few weeks ago, the link is here. Two of our staff members have been trialling this serum for a month now and we have found it to be a lovely addition to apply under your day or night cream for an extra brightening boost. Its nice and light and you only need a little drop or two for the whole face so it lasts well. It has a lovely citrus smell and feels nourishing. Our skin has felt more nourished using it and we like that it’s light and dries quickly for the next moisturising skin step. A good day to day little extra. 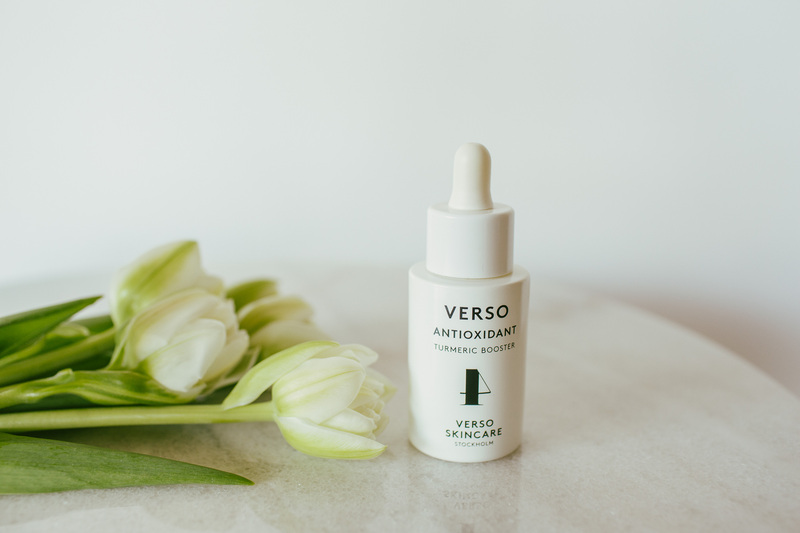 Our next serum is the Verso Anti Oxidant Turmeric Booster Serum and we have found it to be a bit richer than the Dermalogica serum. This one we think is best used only once a day, or even every day or two preferably in the morning due to the UV-radiation protection properties. We like the idea of the anti-oxidant properties and the inclusion of powerful natural ingredients like Tumeric and Vitamin E. This serum is designed to improve the skins hydration capacity so it works in conjunction with your moisturiser. Its also designed to soothe redness and inflammation, which we have found useful in this cold and harsh winter weather. We did find it soothing to apply and again it sinks into the skin easily and quickly. The bottle is a lovely weighty glass vessel and could be repurposed for essential oils or similar. We have enjoyed using this product and do recommend. 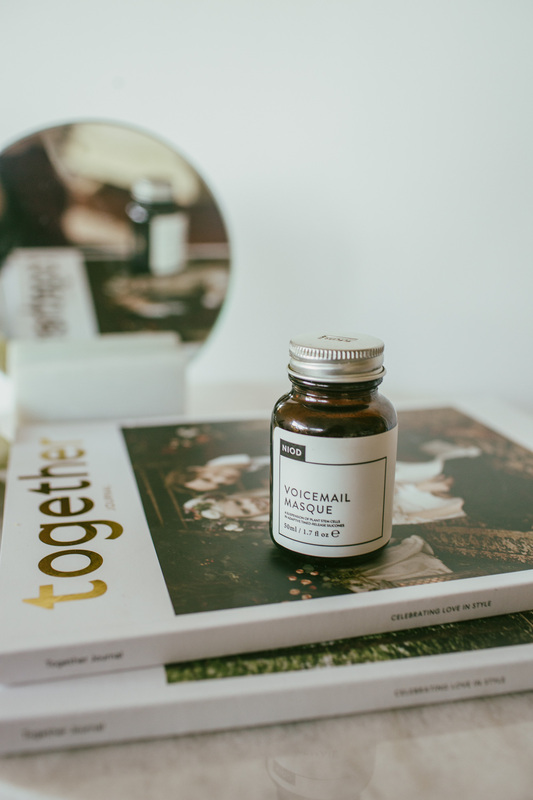 The Niod Voicemail Masque is a very interesting product and we were eager to try it, the brand has developed a bit of a cult following and the packaging and presentation was very appealing, the medicinal jar came packaged in a beautiful black drawer slide cardboard box, we loved that the bottle is made from glass and the box was cardboard with no plastic in sight. Its objective is to increase communication between cells which are hindered due to ageing and other environmental effects. Quite a unique and slightly abstract proposition… The idea of having suspended plant stem cells within the product was again very intriguing. Its recommend to be used 3 to 4 times a week which for us was a bit much as you sleep with it on and its quite a gluggy mixture, although it does sink into the skin but, it does at times spread into the hair and onto bed linen. This frequency for us was a little bit hard to maintain for several reasons, the spreading into hair and linen reason just mentioned, and we had to cut out favourite night creams on the nights we used it, which we missed and it has a slightly strange and very planty smell which was not unpleasant but quite strong and unusual. 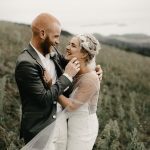 But we don’t want to put you off it, as when we did use it, which was one to two nights a week we did find the next morning that our skin did feel more hydrated, nourished and healthy. So as a once a week extra boost to replenish and nourish we do recommend and we will be continuing to use it ourselves. As for our cells communicating better, we are not quite sure? Available via Ines store. 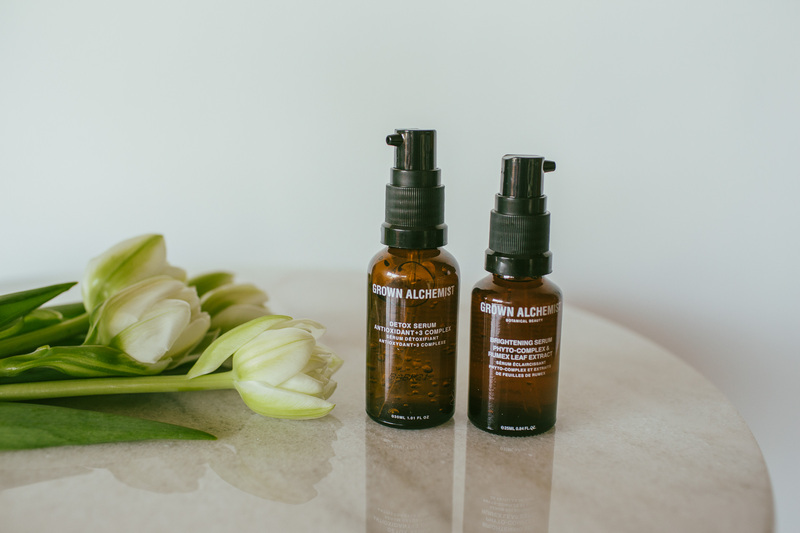 As you already know, the team at Together Journal are fans of effective natural based organic skincare and we are already users of the Grown Alchemist products. The Detox night cream is regularly used favourite. 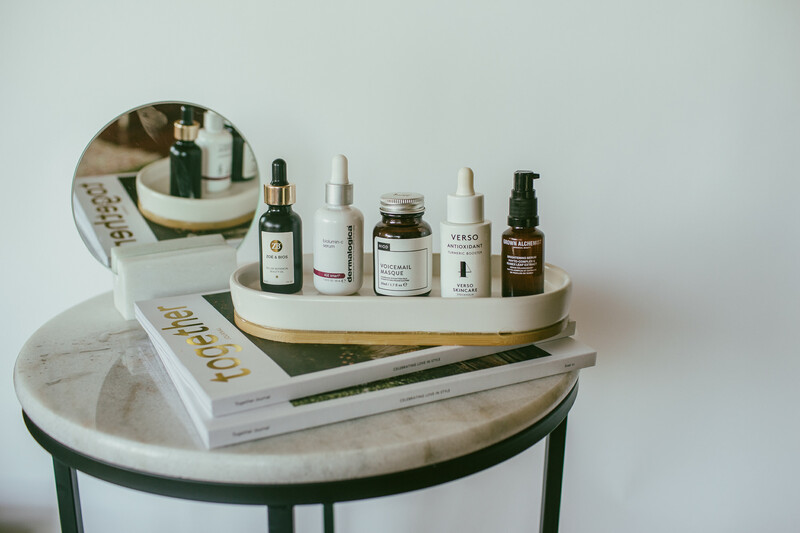 The Detox Serum and the Brightening Serum are two daily serums and a regular on our beauty shelf, we alternate between the two. They are both lightweight weight, absorb quickly and can be used instead of a day cream or under a day cream if you need more of a moisture boost. 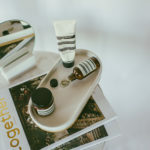 The Detox serum is great for everyday use and the brightening serum is great if you are aiming to even out pigmentation. 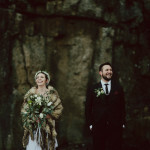 They are both great little honest products with a brand philosophy that really resonates with us, Grown Alchemist believe in using only the finest organic ingredients, they are striving to be as sustainable as possible within their production, ingredients and packaging and for us using a product with these ideals and philosophies just feels better and more enjoyable to use. 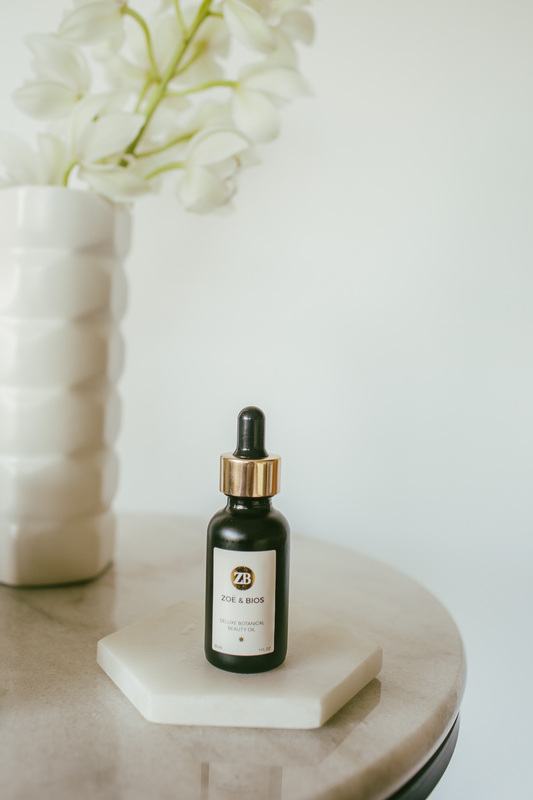 Zoe & Bios is a facial oil we have fallen in love with. There are many facial oils on the market but the two differentiating factors we found with this one is firstly the smell, which you notice immediately. It smells simply glorious, in fact, we are kind of addicted to the beautiful botanical/floral fragrance, it just makes us feel good! Its produced in line with French Aromatherapy traditions which we are guessing is why its smells so good and makes us feel uplifted. And secondly, its lovely and light compared to a lot of facial oils we have used In the past, we have found a lot of facial oils quite heavy and often only suitable for nighttime use as they tend to sit on top of the skin and interfere with makeup. But, used economically for daytime this oil is still hydrating and nourishing but because its so lovely and light it sinks into skin quickly and makeup can be applied with no problems. Production is limited to small batches and the finest grade botanical ingredients are sourced from the worlds top organic growers to create the product. 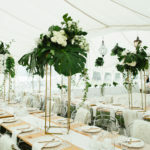 So again we have an effective product with a conscience that is simply lovely to use. We definitely recommend this one. 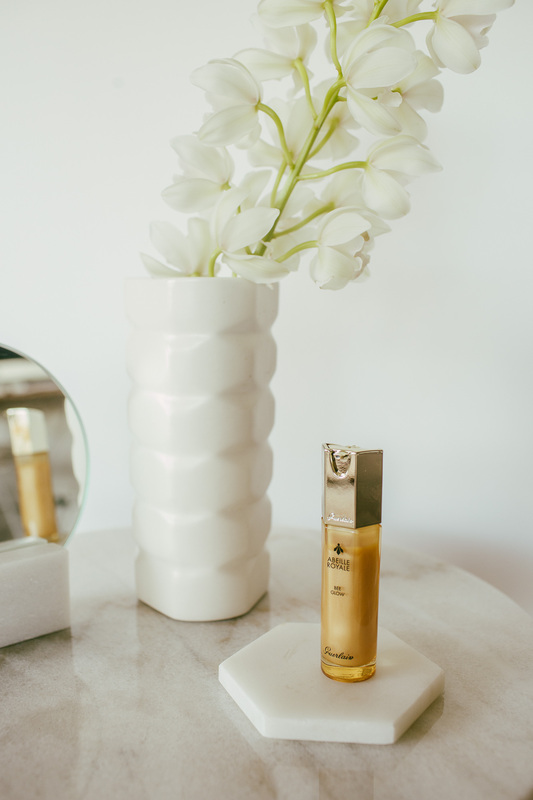 The Guerlain Abeille Royale Bee Glow Moisturiser , like most Guerlain products, definitely looks and feels Royal. It has that wonderful Luxe appeal that French products seem to do so well. This product is touted as being a moisturiser but it feels a little more like a serum in terms of consistency. We have particularly enjoyed using it in the daytime layered over our day cream and under our foundation, it definitely gives a look of radiance to skin and a slightly dewy look. You can also layer light in touches over top of your foundation using fingertips if you would like an extra glossy glow along cheekbones. We are fans and will be keeping this product n the beauty cabinet.